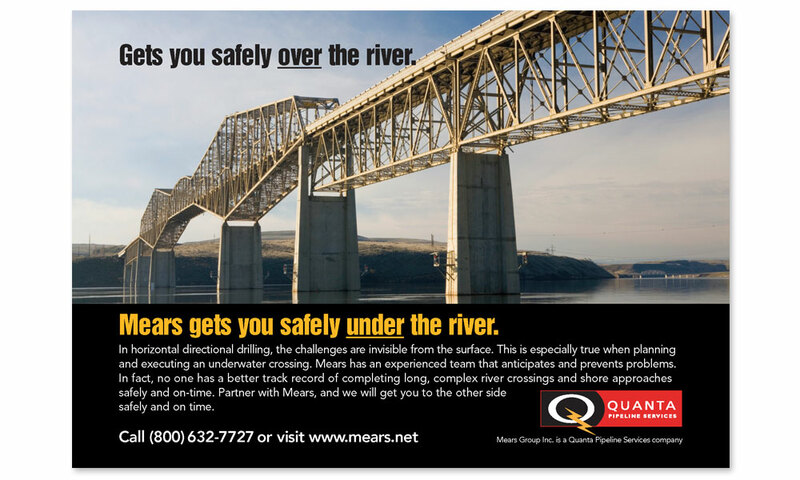 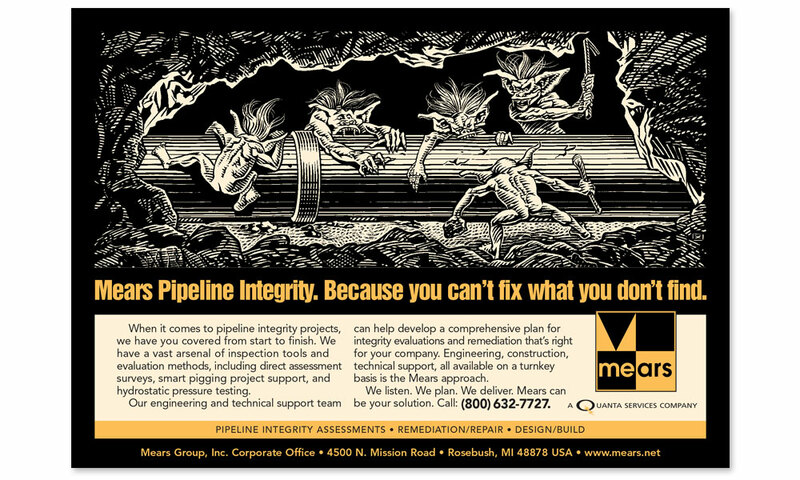 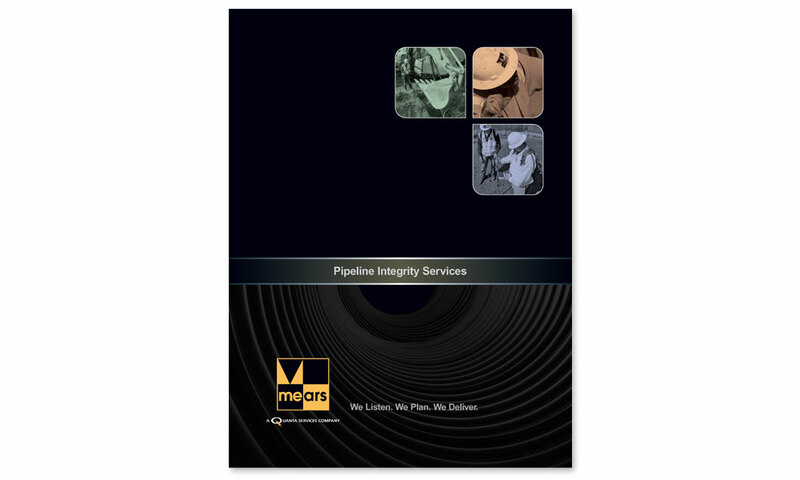 Worldwide leaders in horizontal directional drilling and pipeline integrity, Mears Group, Inc. (a Quanta Services Company) asked us to help with their branding activities. 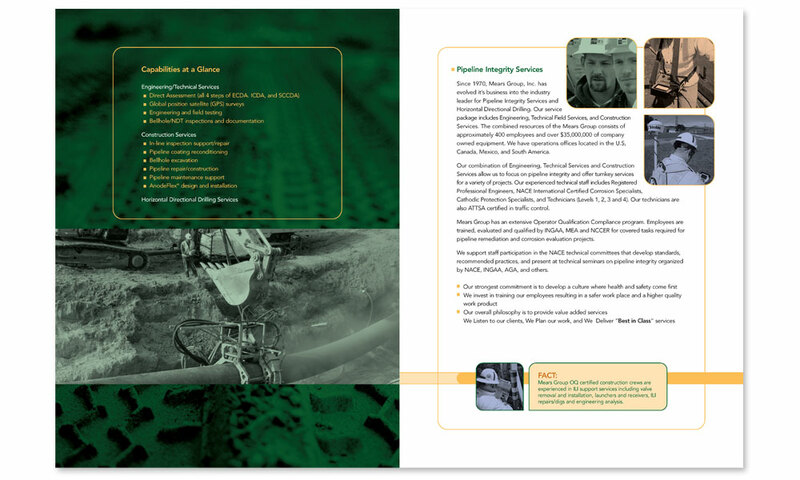 Initially, we worked to standardize the company logo used in their various offices and created their brand standards manual. 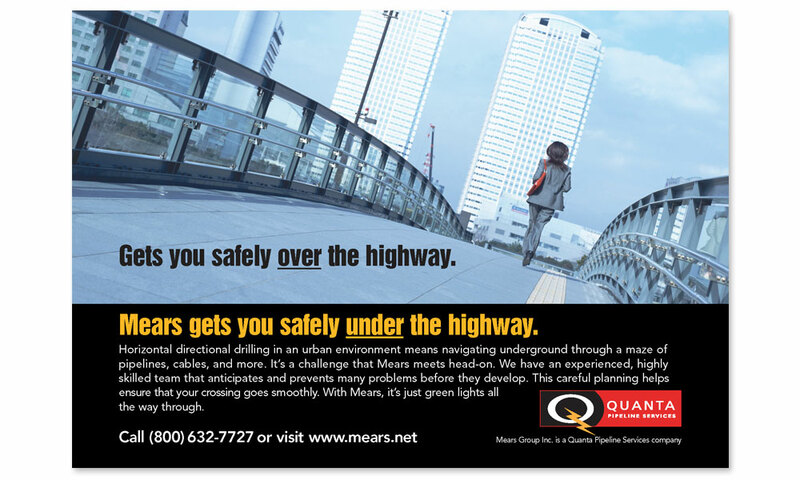 Soon after, we created a highly recognizable ad campaign featuring illustration to tell the “below-ground” story. 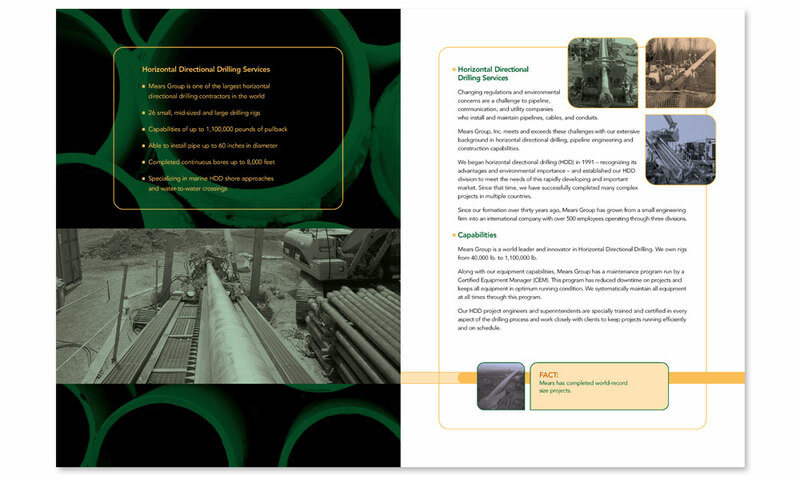 BrainShine also designed brochures for each division and branded collateral materials, including a recruitment brochure and PowerPoint graphics. 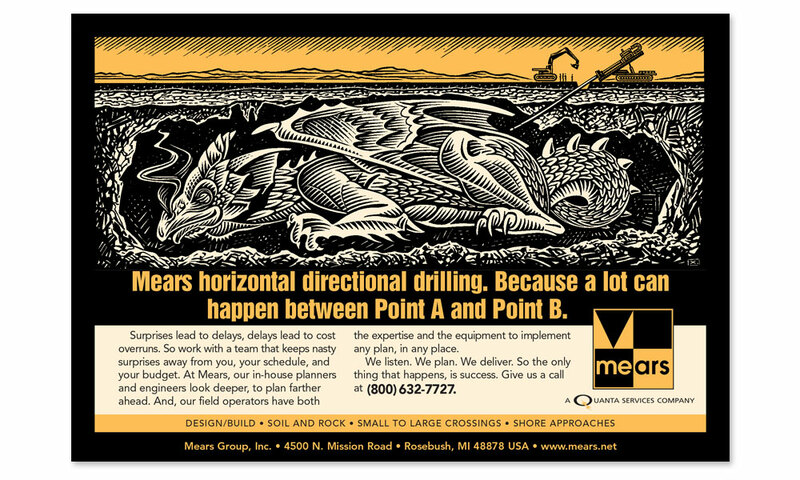 In time, we built a new ad campaign for the horizontal directional drilling division, but it was that darn dragon that stayed in peoples memories, and they still use that creative occasionally today.